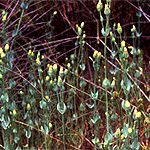 Though requiring well-watered ground, there is little indication that E. alpinum may be termed riparian. Its vulnerability with the core Alpine area to climate change is unproven. 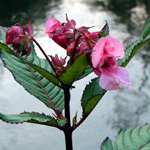 E. alpinum is native to Austria, Liechtenstein, Croatia, France, Switzerland, Italy, and Slovenia though, as a popular garden plant, it is established within and beyond its native range as an escape. A) In France, it is found in 42 localities with Rhone-Alpes and Provence-Alpes-C?te-dÃAzur, with several thousand individuals but with a declining trend. B) In Austria, it extends from Voralberg to Liechtenstein and from Kaernten to Slovenia, with 1,000-2,000 individuals counted and with a declining trend. C) In Switzerland, the area of occurrence is 74 km2, but its native status is not clear, and though the overall status is stable, this situation may be ?buffered? by introductions. D) In the Slovenian Alps are a few small subpopulations scattered, declining and with some locally extinct. 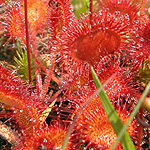 E) In Italy, there have also been local extinctions and the plant is now found in eight localities. Subpopulations are declining. The total area of occupancy might be <2,000 km2 (though there is not enough supporting data for this assumption) and the populations have been declining since 2000 and are fragmented in parts of its range, though with little information on subpopulations in the different countries. 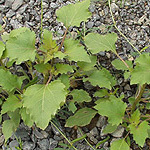 E. alpinum is found in open habitats such as avalanche corridors or hayfields at altitudes of 1,500-2,000 m asl, mostly on limestone and preferring moist or even wet conditions, such as those within tall herb communities on andplusmn; well-watered ground and well-supplied with nutrients . It is known within 6 types from the Habitats Directive, of which one at least (6430) can be riparian: 4070 Bushes with Pinus mugo and Rhododendron hirsutum, 4080 Sub-Arctic Salix spp. Scrub, 6170 Alpine and subalpine calcareous grasslands, 6230 Species-rich Nardus grasslands, on siliceous substrates in mountain areas (and sub-mountain areas in Continental Europe), 6430 Hydrophilous tall herb fringe communities of plains and of the montane to alpine levels, and 6520 Mountain hay meadows. The main threats are abandonment of alpine pastures and traditional land use, causing habitats to scrub over and open ground to be eliminated. Collection for ornamental purposes and for the seeds leads to population declines. Recreational activities such as skiing are degrading its habitat. Spring grazing could have an impact on the reproductive success. Strictly riparian species with a limited distribution in the Atlantic Biogeographic Region, this species may be threatened by climate change, especially of this leads to sea-level rise or changes in the flooding regime of the lower reaches of the Loire etc. Found along the western coastline of France, with an extent of occurrence of 25,000 km2, this species has recently been found in 145 localities with >65,000 individuals. The overall population trend is not known, though possible declines in the Loire estuary and SE part of the distribution area are suspected. A. heterocarpa grows along the edges of rivers and estuaries and can be found in the following Habitats Directive habitats: 6430 Hydrophilous tall herb fringe communities of plains and of the montane to alpine levels, and 9100 Alluvial forests with Alnus glutinosa and Fraxinus excelsior. The main threats to this riparian species are forest exploitation without replanting, infrastructure development in urban/industrial areas (ports), and modification of the hydrology via construction of embankments, creating shipping lanes or reclamation of land from sea. 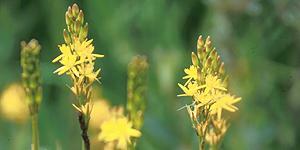 Native bog species, suffering from several stresses such as eutrophication and changes in wetland hydrology. Climate change is an extra stressor and may worsen hydrological alterations of wetlands. Generally associated with very small montane and alpine streams and runnels, this species grows mainly in the Alpine Biogeographic region though over quite a narrow altitudinal band. Its strong association with the riparian zone and limited range suggest that it would be vulnerable to climate change. The natural range of T. carpathica lies in the Carpathians and Balkan Mountains, being found in Poland, Slovakia, Romania, Ukraine, Serbia, Bulgaria and Greece: a) In the Ukraine Carpathians it grows in the subalpine belt from 1,140-1,890 m asl, being recorded in 8 locations, b) In Slovakia its distribution is patchy ? 20 locations, with >100 plants at most sites, c) In Poland, the species occurs mainly in the Beskidy Mts ? population of 10000 stems, d) In north-central Greece, it is found very locally in the Varnous Mts and north Pindos, with an extent of occurrence of only 300 km2 and occupancy of 12 km2, and e) Recent data for Bulgaria and Romania are sparse though T. carpathica is quite widespread in the Carpathians (e.g. Fagaras Mountains) and present, for example, on Vitosha near Sofia. The species is found in floodplains, subalpine meadows and by montane (1,900-2,050 m) streams and rivulets, as well as more rarely in dwarf pine and alder stands and in moist forests on wet, nutrient-rich, neutral to alkaline soils, and in shady ravines. Tozzia grows within the following Habitats Directive habitats, both of which are (at least often) riparian: 6430 Hydrophilous tall herb fringe communities of plains and of the montane to alpine levels, and 91E0 Alluvial forests with Alnus glutinosa and Fraxinus excelsior. The main threats are forestry clearance, removal of forest undergrowth, stream canalisation and changes to natural hydrology. A vulnerable species to climate change on the basis of its narrow bioclimatic range and dependence on moist habitats associated with lowland rivers. N. cyclamineus is found in the northwest of Iberia i.e. Portugal (near Porto and Viseu and in Minho, Douro Litoral, Beira Alta and Beira Litoral provinces) and Spain (4 provinces of Galicia: La Coru?a, Pontevedra, Ourense and Lugo). In Portugal the species is found within an area of 1,430 km2 and there is evidence of some population increase, though usually in low numbers. In Spain, this species is recorded in 34 localities with new populations recently discovered. N. cyclamineus grows in shaded forests, humid grasslands and on the banks of lowland river basins, cited for the following Habitats Directive designated habitats, both of which occur in the riparian zone: 6510 Lowland hay meadows (Alopecurus pratensis and Sanguisorba officinalis), and 91E0 Alluvial forests with Alnus glutinosa and Fraxinus excelsior. The main recorded threats are collection and forestry planting. With quite a wide bioclimatic range and seldom specifically associated with rivers, it has thus probably relatively low vulnerability to climate change and is outwith the scope of REFRESH. Although the only listed Habitats Directive habitat is not primarily riparian, it is clear that this plant occurs mainly by rivers within heathland complexes. As such it is both liable to altered soil water-regime and flooding from the river as a result of climate change. The overall range is also very restricted, making this plant vulnerable to bioclimatic change and fragmentation of the populations. S. villosa is a European endemic that occurs in northern Spain (area of occupancy 88 km2) and western France (extent of occurrence 615 km2 and the area of occupancy <20 km2). It may be safely assumed that the total occupancy area is <500 km2. In Spain, S. villosa has been recorded in 18 localities and the populations are decreasing (but locally abundant), although it is suspected that the overall population is andle;2,500 mature individuals. In France, it is found in 8 localities (6 communes) with >1,000 individuals in total. The general population trend is unknown, but the total number of individuals is <10,000 and there are <1,000 mature individuals in each subpopulation. S. villosa occurs near rivers, on humid slopes and river banks and at springs in hills and mountains, growing within the Habitats Directive type 4020 Temperate Atlantic wet heaths with Erica ciliaris and E. tetralix. In Spain, inadequate forest management, excessive livestock pressure and trampling, and activities that alter the hydrological dynamics, pose the main threats, whilst in France the main threat is forest management. 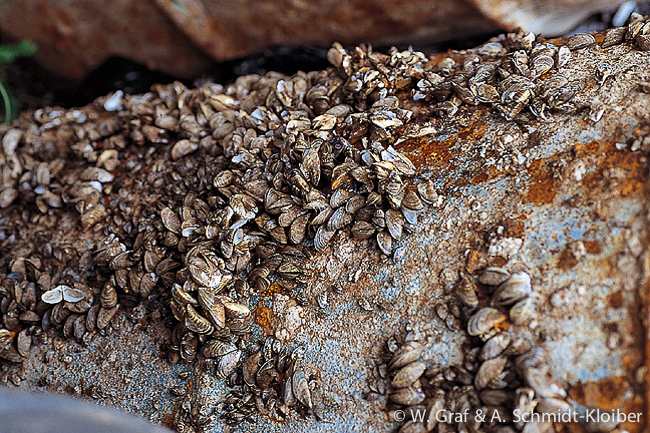 Exotic species, invasive behavior promoted by increasing temperature and more frequent floods. The only riparian habitats relevant to REFRESH where G. palustris is noted are wet meadows. The bioclimatic range is quite wide and there is evidence that this species can tolerate some perturbation to the water regime. 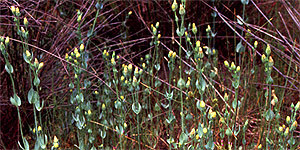 G. palustris is confined to Europe and is subject to several threats both to its habitat and to the species directly e.g. modified cultivation practices, management of water systems and drainage, pollution, and collection. The data for this species are deficient (according to IUCN). G. palustris is found north of the Alps from eastern France and the Alsace, Germany, Czech Republic, Slovakia, Poland eastwards with fragmented patches in Belarus, Ukraine and Russia. South of the Alps, it extends from the Appenines in Italy to eastern Austria and Hungary whence it extends to western Bulgaria and Albania in the Balkans. Recorded for Albania, Austria, Belarus (1 locality but now extinct), Bosnia and Herzegovina, Bulgaria (5 recent locations), Croatia, Czech Republic (323 individuals), France (mainland - 33 localities with >25,000 individuals), Germany (89 localities, stable trend), Greece (mainland), Hungary (52,000-55,000 individuals, increasing), Italy (mainland ? 90 localities, stable), Liechtenstein, Poland (up to 20 individuals, declining), Romania, Serbia (vulnerable), Slovakia (3 localities), Slovenia (7 sites, declining), Switzerland (light to moderate decline since 1990), and Ukraine (1 locality where probably extinct). G. palustris is found in coniferous, mainly pine forests (Erico-Pinion) and wooded wet meadows, preferring periodically wet meadows (though tolerant to drying out) including those with a steppic character and where oak groves have much Molinia. If the habitat is not periodically wet the populations decrease due to competition. It grows on calcareous, moderately humic and nutrient-poorer soils. This plant grows in the following Habitats Directive designated habitats: 62A0 Eastern sub-Mediterranean dry grasslands (Scorzoneratalia villosae), 6260 Pannonic sand steppes, 6410 Molinia meadows on calcareous, peaty or clayey-silt-laden soils (Molinion caeruleae), 6440 Alluvial meadows of river valleys of the Cnidion dubii, and 91M0 Pannonian-Balkanic turkey oak-sessile oak forests. Only those underlined are specifically riparian. 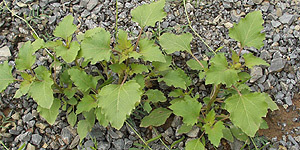 G. palustris is subject to numerous threats: a) modified cultivation practices (e.g. mowing, grazing, abandonment of pastoral systems), b) forest planting, c) management of water systems and drainage or canalisation, d) conversion of its meadow habitat into arable land, e) collection, f) pollution from pesticides and fertilisers as well as eutrophication, and more locally g) aquaculture, roads and railway lines. Threatened mainly by habitat change and human development on habitats that are almost entirely not riparian (thus outwith the scope of REFRESH). 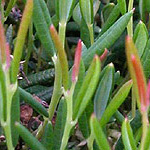 However it has a very precise ecological range and is probably vulnerable to climate change impacts on Atlantic heaths. E. viviparum is native to France (Morbihan - 1 km2), Spain (Galicia and Castilla y Leon) and Portugal (1 site). Thus, the estimated total area of occupancy may be 80 km2. The species has undergone a very strong decline over an already small area, with few localities remaining. In Bretagne the decline has been spectacular from being abundant ca 1960 to some 50 sites (1975-1980) to a single confirmed site with 200-1,500 individuals. NW Spain has 20 subpopulations (8 more having disappeared recently) with >15,000 individuals, mainly in Galicia, and with 57% of the population considered threatened and ca 2% is on the verge of extinction. The Portuguese locus classicus is considered extinct, but a new small population was discovered in the Serra da Nogueira which also faces a high risk of extinction. 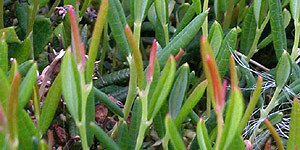 The natural habitat of E. viviparum comprises acid depressions in Atlantic heaths, where it is a pioneer species, intolerant of competition. These sites are generally exploited as winter-inundated pastures, where poaching by cattle enables the plant to survive. In Brittany, the soil is derived from granite (pH ca 6.5) and such soils tend to retreat in times of drought. The species colonises temporarily submerged soils that dry during the summer. 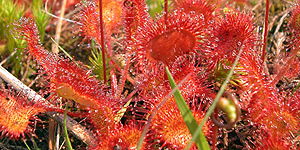 E. viviparum grows in 3 Habitats Directive types: 3110 Oligotrophic waters containing very few minerals of sandy plains, 3130 Oligotrophic to mesotrophic standing waters with vegetation of the Littorelletea uniflorae and/or of the Isoeto-Nanojuncetea, and 6410 Molinia meadows on calcareous, peaty or clayey-silt-laden soils. Pools supporting this species tend to disappear due to natural succession of the habitat (invasion by Molinia) and due to a variety of anthropogenic modification and degradation of the habitat e.g. drainage and cultivation of maize, conifer plantation, urbanisation, disposal of organic wastes and decline in grazing. Sand extraction is also problematic in some part of its range. Increased temperatures, increased variability in lake water levels as a consequence of Climate Change and restoration of lake pioneer habitats lead to an extension of the species. M. dasycneme occurs from north-west Europe (NW France and southern Scandinavia) south to Serbia and Montenegro, Ukraine and north Kazakhstan, east to the River Yenisei in central Russia, with a few records from China (recorded from sea level to 1500 m). 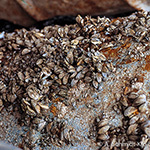 It feeds mainly over open calm water, particularly canals, rivers and lakes, on small emerging and emergent insects, often taken from the water surface. 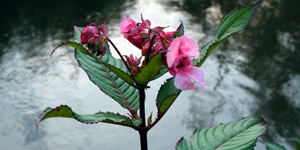 It prefers water lined by open rough vegetation without trees. Most of the known summer maternity roosts are in buildings, in groups of 40-600. Some tree and bat box roosts are recorded. It frequently hibernates in underground habitats ranging from natural caves to cellars and bunkers. It is a partial migrant, with winter and summer roosts often separated by more than 100 km, and it may need good habitat links between summer and winter roosts. Threatened by habitat change, including renovation and maintenance of buildings with roosts involving the use of chemicals for remedial timber treatment that are toxic to mammals. Few nursery roost sites are known and many of these have been lost, although numbers in hibernation sites have shown a slower decline in The Netherlands. Water pollution may also be a threat, the species already has a relatively restricted foraging habitat of broad, open flat water of canals, rivers and lakes with relatively open banks, with possibly some further seasonal (summer) restriction within utilised habitat.